Peter and Murium Green from Wellington, Somerset. 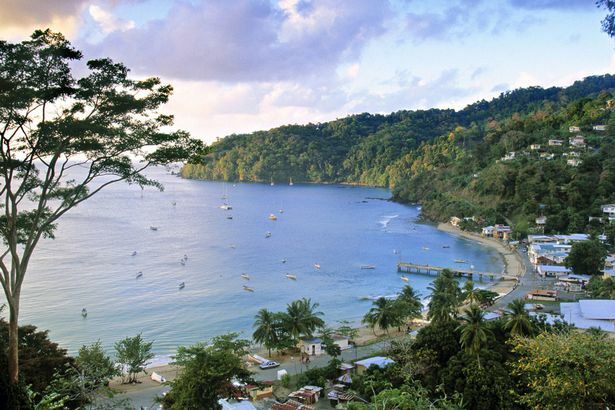 (file photo).The British couple hacked to death on the paradise island of Tobago were the victim of a ‘Caribbean Ripper’ who will strike again, a friend warned. Peter said: “This won’t be the last – there’s a serial killer there. I fear they have their own version of The Ripper. SAN JUAN – Trinidad and Tobago authorities have detained three suspects in the murder of a British expat couple, a police spokesman said over the weekend. The suspects who are said to be in their 20s, include a St. Vincent and the Grenadines national, and are expected to be formally charged in court today. Richard Wheeler, 73, and wife Grace, 67, were found dead Tuesday inside their residence in Carnbee, Tobago, authorities said. The couple, who moved to the twin-island Caribbean nation 16 years ago, were last seen alive Monday night.